Garry Kvistad joined Nexus in the Fall of 2002 when John Wyre, one of the group's original members, retired. He has been performing and recording with Nexus co-founders Bob Becker and Russell Hartenberger since joining Steve Reich and Musicians in 1980. Garry is one of 18 musicians to win a Grammy award for the 1998 recording of Steve Reich's Music for 18 Musicians. Garry attended the Interlochen Arts Academy where he studied with Jack McKenzie and Michael Ranta. He earned his BM from the Oberlin Conservatory of Music where he studied with Cloyd Duff and Richard Weiner and his MM from Northern Illinois University, where he studied music, art and physics in the pursuit of musical instrument building. In 1993 Northern Illinois University honored him with its Distinguished Alumni Award. In the 1970s, Garry worked with composer/conductor Lucas Foss as a Creative Associate in Buffalo, New York, after which he joined the faculties of Northern Illinois University and the University of Cincinnati College Conservatory of Music. During that time he co-founded the Blackearth Percussion Group which recorded and toured in the US, Canada, and Europe. Kvistad has served as the timpanist and percussionist with the Chicago Grant Park Symphony, was a summer Tanglewood Fellow, and a percussionist with the Cabrillo Music Festival Orchestra, California. He has been featured in performances with the Chicago Symphony Orchestra, the Cleveland Orchestra, the Israel Philharmonic, as well as many others in North America and Europe. The Balinese Gong Kebyar Gamelan ensemble, Giri Mekar, which he formed in 1987, is currently in residence at Bard College. Garry is the founder and CEO of Woodstock Percussion, Inc., makers of Woodstock Chimes® and musical instruments for children. He is a 1995 winner of Ernst & Young/Inc. Magazine's Entrepreneur of the Year Award for the Southern New England Region and served as a New York state delegate to the 1995 White House Conference on Small Business. 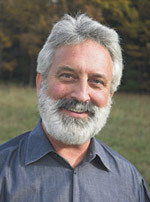 Garry served as Chairman of the Board of Directors of The Woodstock Guild, Woodstock, NY until 2008; and as a member of the Board of Advisors of The Catskill Center for Conservation and Development, Arkville, NY. Garry lives in beautiful upstate New York with his wife Diane, lots of pets and houseplants. They have two daughters, Tasa and Maya, both following artistic paths.